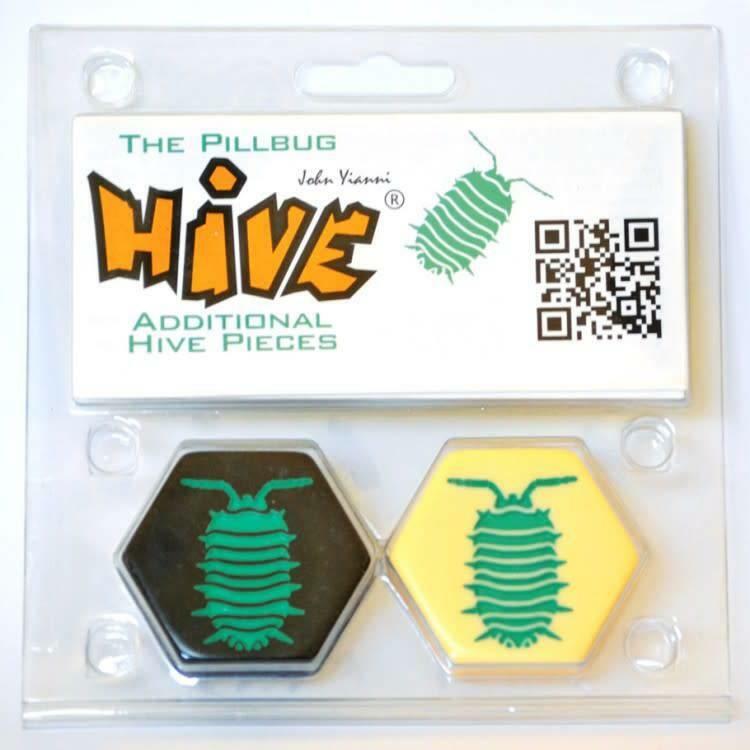 The Pillbug Expansion introduces a new pair of tiles that can be added to Hive. The pillbug moves like the queen bee - one space at a time - but it also has a special ability that it may use instead of moving. This ability allows the pillbug to move an adjacent, unstacked piece (whether friend or enemy) two spaces up onto the pillbug itself, then down into an empty space adjacent to itself. Any piece which physically moved is rendered immobile on the next player`s turn; it cannot move or be moved, nor use its special ability.